So far with netECM:Launcher, it was possible to configure applications that are not allowed to run when an installation starts. 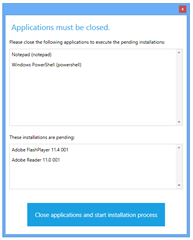 netECM:Launcher would check for these applications before starting the actual installation and fail with a specific error code if one of these applications was running. 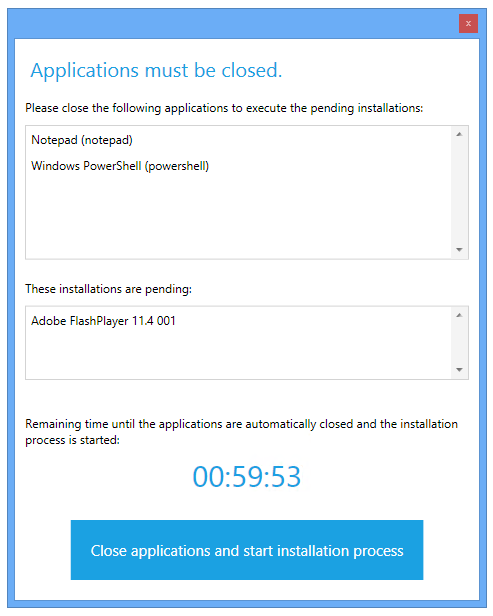 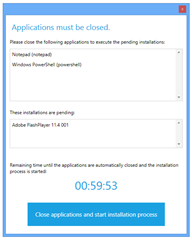 Users can now be informed to close interfering applications before starting the pending installations. 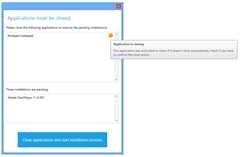 Once the installation process is running, the interfering applications are blocked so users cannot open them until the installation process has been completed. 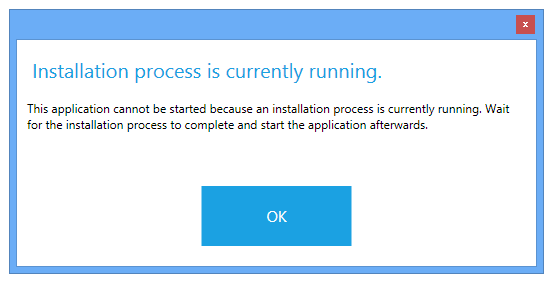 It is possible to define a timeout. 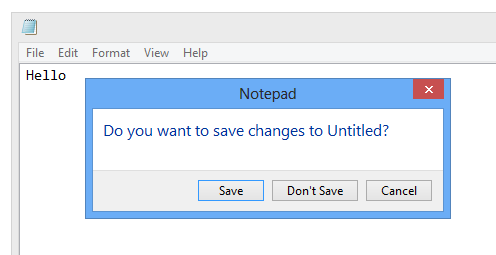 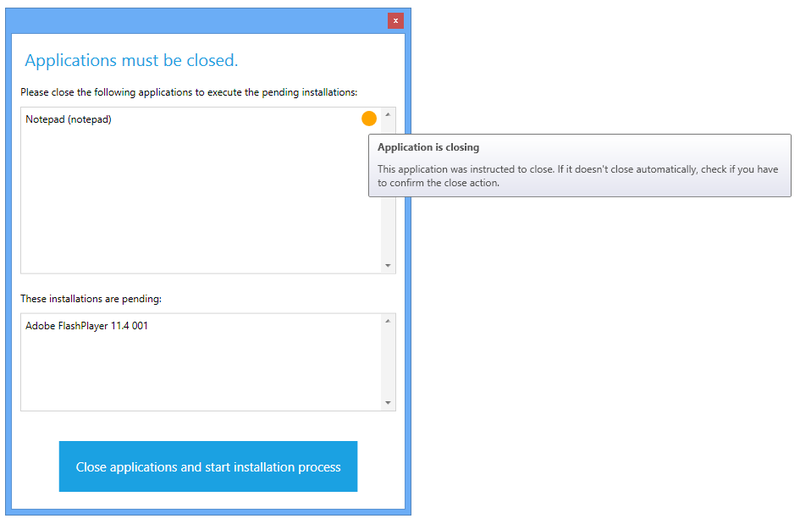 When the timeout is reached the interfering applications are closed and the installation process starts automatically.